6 omdömen för Ceramic Resource Wholesale, CRW Inc. Quoted on time and installed on time. Reasonably priced and excellent workmanship. Very pleased we chose this company to do the work. Highly recommended! 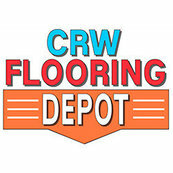 Simon at CRW has excellent product knowledge. He is trustworthy, helpful, knowledgable and very reliable. I would always recommend them.